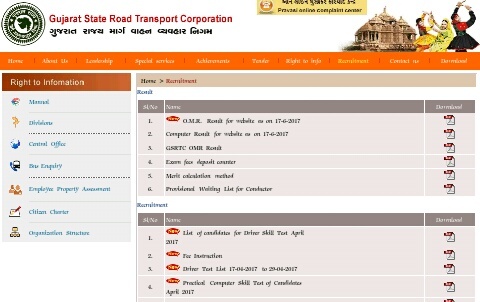 GSRTC Result out 2016-17 | Clerk, Jr Accountant & Other Exam OMR & Computer Result : Gujarat State Road Transport Corporation (GSRTC) has published OMR & Computer result for Assistant Traffic Inspector, Asst. Superintendent of Traffic, Asst. security Supervisor, Clerk, Departmental Safety Inspector, Jr. Assistant, Jr. Accountant Security Assistant, Sr. 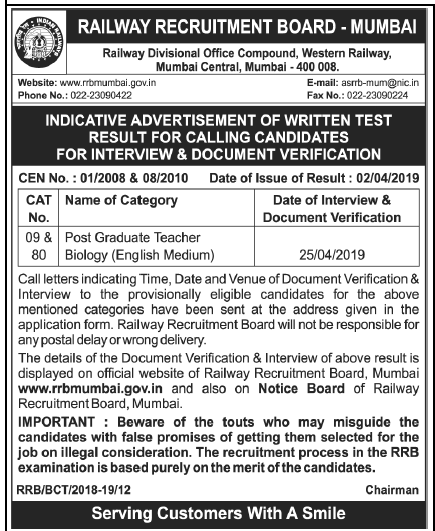 Accountant Inspector of Accounts, Sr. Assistant Steno – B, Storekeeper Traffic Controller, Traffic Inspector. More information please read below mention details carefully. 15/04/2017 & 16/04/2017 by GSRTC.